Last year, I was contacted by a company in China who requested a quote for an American made wood product. They claimed to be a manufacturer of sheet metal and other fabricated products, and had an impressive website. We did a little due diligence; there was nothing in the way of scam or rip-off information on the internet we could find, and their website looked legit. We began the process of finding a U.S. manufacturer for the product they needed. I expected that we’d have an easy time sourcing product from the U.S. for China and it would be a slam dunk. I was wrong. We made a lot of phone calls; just finding someone in the States that would either answer their phone or call us back was a chore. Then, even if we talked to someone, we were getting blown off for a lack of interest. I was surprised; we hear all the time how the economy’s not on the best footing so I would have thought that U.S. companies would have been eager to jump on a quote, especially in the volumes we were offering. Eventually, we found an organization who pointed us to a company in California on the West Coast that could do the job. I jumped on a plane for an overnight trip, toured their facilities, and quoted the customer in China. The Chinese company emailed a contract, and asked if I would fly to China to meet their president and sign the deal. I put a trip together that would also include stops at factories for other projects we had in the works. The Chinese customer was based in Shenzhen, which was where one of our partner companies is based. 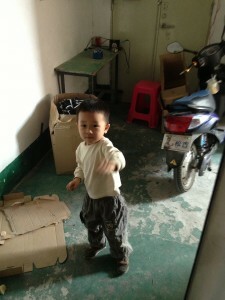 Upon arrival, I called the president of our partner company, and he drove me to the Chinese customer’s address. As we approached their building, I couldn’t believe what I saw. We didn’t even go in. It was an apartment building; I was on the wrong end of a scam. 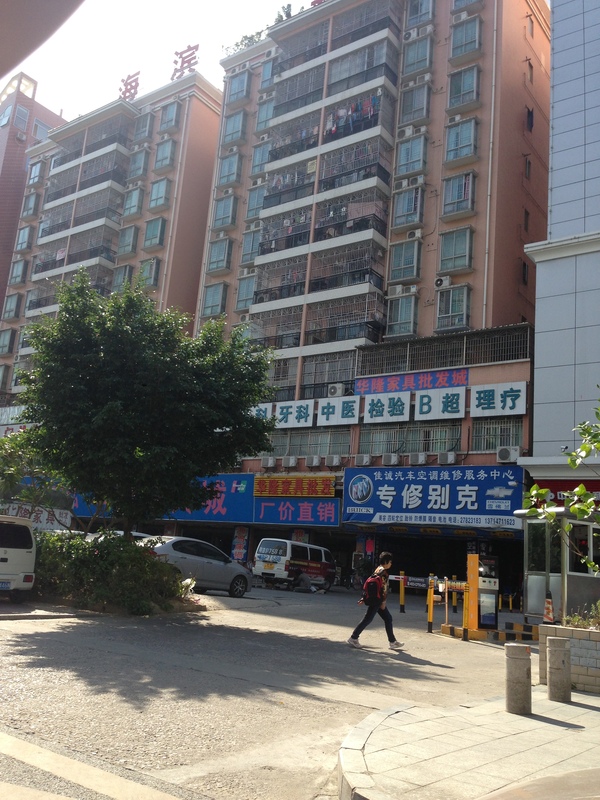 When I arrived in Shenzhen, my “Chinese customer” told me they “had some people there waiting to meet me.” I’ll never know what their intentions were, but my friend told me that he was concerned about my safety when he saw the address was an apartment building. I made a mistake in not having the president of my partner company in Shenzhen check the “Chinese customer” out for me before I spent the time on putting a source together for them. The president of my Shenzhen partner company is busy sourcing products from Chinese factories for my North American customers, so I figured I’d handle it on my own. If I’d have checked with him first (and maybe prayed for a little more wisdom too) I would have saved myself plenty of grief. This story illustrates the point I preach to many of our customers: if you don’t have someone on the ground in China you can trust, you have no idea if you’re dealing with a factory, a trading company… or a group of people in China who are trying to scam you. Every once in a while I get a phone call from a customer who asks me why they shouldn’t just go direct to China on their own instead of working with us. Without experience dealing with the culture and having a native Chinese businessperson at your side who has your interest in mind, the chances of getting ripped off escalate. We have a number of customers who call and ask us to contact vendors they’ve found on Alibaba or another e-commerce website. 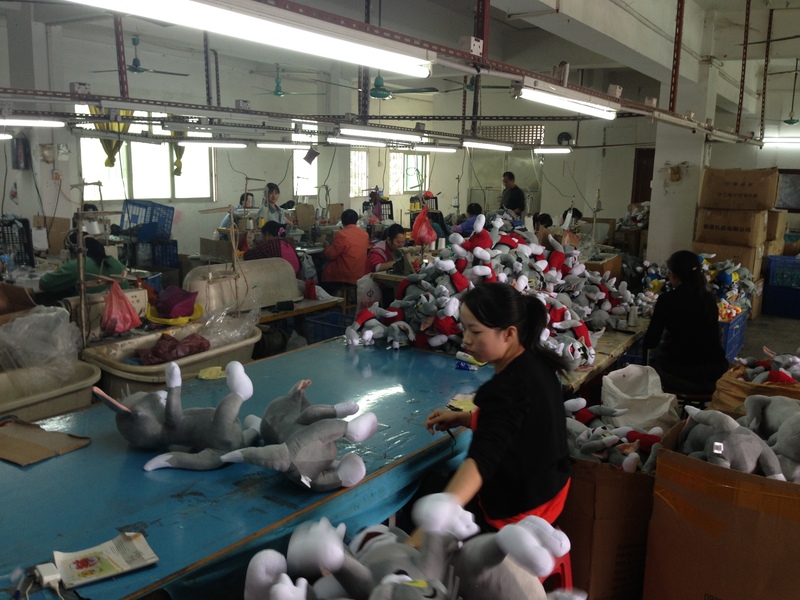 When our partner companies in China call the “factory” and find out the truth, it isn’t always pretty. One “factory” told us they didn’t even sell the product they had on their e-commerce website. Having people on the ground in China is a must for doing business there. While visiting a small company in China last year, I ran into the young son of the owner, playing in one of the back rooms (don’t freak out, this isn’t child labor; he would have been sitting at a work desk if it was). The boy gave me a polite wave as I took this photo. Maybe someday he’ll fill his father’s shoes. We sourced a wide range of products; parts and products made from metal, plastic, wood, and various textiles – including stuffed dolls. 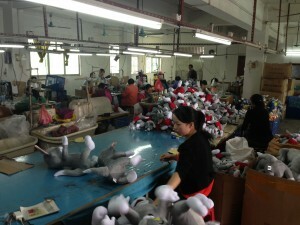 The following is a picture from a stuffed doll manufacturer near Dongguan. Note the “Tom” dolls from the Tom and Jerry cartoon. They told me they were exporting these to Australia. Keep in mind that we can source a wide range of products from China. The sky’s the limit.